4 Ferraris and some nondescript junk model. Great. Thursdays were always Mum & Dad’s special day to spend with the child protection lady, so as a kid I spent the afternoons at Joel’s playing with his Micro Machines™. I don’t think we ever ended up really playing with the toys at all. We only ever poured the whole collection onto the floor and came up with new and marvelous ways of divying up the spoils for everyone in attendance. If I recall Joel had a Ferrari of some kind which was always the first to go, and the shopping process remained fun for another 3 hours until we got down to the dregs, like the WW2 destroyers that weren’t good for anything since we couldn’t fill his room with water after that last time, and the old Jalopy which they must have produced thinking it was a good idea and then bundled it with every other boxset available just to get rid of it. “The New Micro Machines Lamborghini triple pack including the Gallardo, Murcielago and Limited Edition Jalopy!” Awesome. Once we had our respective garages replete with tiny sports cars, war machines and jalopy, (if you were the loser) we’d get bored after 5 minutes and move onto something else. After all, there were only so many cars and so many different ways to split them up. 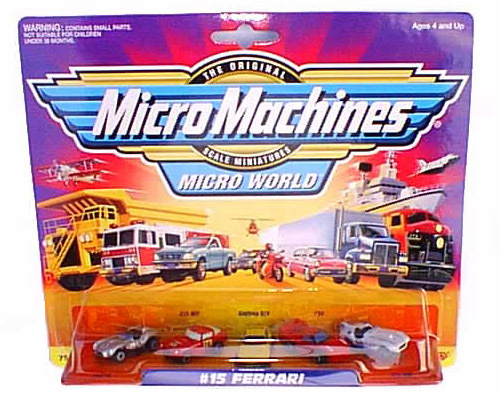 It was during one particular Summer of Joel that he discovered a shop downtown that actually sold Micro Machines and there was much rejoicing in the land. Until that dream was stifled by parents whose idea of pocket money was whatever you found dredging the school’s sceptic tanks on the weekends. With your bare hands and garden hose for air. In a good week, say when another school was visiting, you might net your yourself $2.55 in legal, albeit discoloured, tender. Who knew so many kids swallowed coins? But even after we’d sucked the coins clean and saved enough for a box of Micro Machines, there was no way we’d be allowed to travel into town on our own anyways. It was then that the school’s treasurer, Freddy, came to the rescue. Freddy, aware of our plight and sympathetic to our goals, made himself available after work for nighttime tours of the city, and with the blessing of our parents, would take us out on the town on many an occasion. On one particular trip we saw an exploding stool. Anyone who’s ever been to Bolivia is perfectly aware of, and perhaps even comfortable with, exploding stool. You just expect that yes, you too, who never ever gets sick, will fall to it’s foreboding cramps and become a human storm water drain seconds later. But this was a literal exploding stool. One of the market ladies was crossing the street after a long day and dropped her little wooden stool behind her. Roaring around the corner came a massive bus and the rear wheel went straight over the stool, which exploded into thousands of pieces and left wood chips strewn all over the road. I’ve never seen anything like it. It was like it was full of TNT or something. Definitely more exciting and less messy than the normal exploding stool Bolivia is so famous for. Stop 1 of our shopping trips with Freddy was always the shop that sold Micro Machines, of which I purchased none, since my parents gave me about 50c spending money each time and assumed it would just serve to further hone my bargaining skills. It certainly honed my feelings of neglect and bitterness. Joel would come away with some new miniature cars though, and even though they were tiny, his heart was big (aww…) so I knew he’d share them with me anyway. Stop 2 was of course dinner, since we were men and quickly tired after shopping at the one store. I’m not sure how women do it. My wife could shop all day and still enjoys a yearly gym membership. After looking through one store all I require is a yearly subscription to the centre cushion on the couch. Dinner was always great since Joel had spent his money and I was saving mine for the day I could afford to buy a new left sock. Mine was engaged as a filter on the breathing hose, which meant Freddy would quite often pay for our meals. Dinner was also great since Bolivian food was awesome and there was no pesky nutritional labels getting in the way of a good meal. We ate plate loads of Salchipapas, which is baby frankfurts chopped up and piled on top of fries and dowsed in ketchup and mustard. As much as I like them, I hope the dish never makes the oceanic leap across to Australia, because then the country is done for. We’ll end up like a nation of Teletubbies in no time. We always ate at Unicornio, which is either spanish for Unicorn, or San Francisco, ’cause that place was painted lilac and baby blue and had fantasy posters of unicorns everywhere. Even a big neon sign with a rainbow or something. One evening on the way back to the bus stop we came upon an amusement park; an unfortunate term I use rather loosely. I’ve never liked carnies at the best of times, but these guys looked like extras from Pirates of the Caribbean. As part of some cruel joke, Joel & I were thrust onto the roller coaster and forced to ride along on the precipice of certain death, looking down over the city’s river below. We watched in muted horror as the sole steel pin holding us onto the track wiggled about as it effortlessly dislodged itself from its’ employ as life preservation. Perhaps roller coasters just aren’t my thing. We never went on another Bolivian ride after that. And Joel’s mum never got the stains out those pants. We didn’t care. The next day we’d added an extra 30 minutes of play to our Micro Machines dealings, and still had time to spare for another dredging to pay for next week’s trip.